This computer simulation study evaluated Journey 2 BCS components (Smith & Nephew, Inc., Memphis, TN, USA) implanted in a female patient to simulate weight-bearing stair climbing. Knee kinematics, patellofemoral contact forces, and quadriceps forces during stair climbing (from 86° to 6° of flexion) were computed in the simulation. 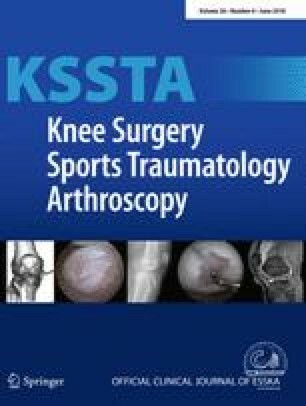 Six different posterior tibial slope angles (0°–10°) were simulated to evaluate the effect of posterior tibial slope on knee kinematics and forces. At 65° of knee flexion, no anterior sliding of the tibial component occurred if the posterior tibial slope was less than 10°. Anterior contact between the anterior aspect of the tibial post- and the femoral component was observed if the posterior tibial slope was 6° or more. An increase of 10° in posterior tibial slope (relative to 0°) led to a 4.8% decrease in maximum patellofemoral contact force and a 1.2% decrease in maximum quadriceps force. BCS TKA has a wide acceptable range of posterior tibial slope for avoiding knee instability if the posterior tibial slope is less than 10°. Surgeons should prioritize avoiding adverse effects over trying to achieve positive effects such as decreasing patellofemoral contact force and quadriceps force by increasing posterior tibial slope. Our study helps surgeons determine the optimal posterior tibial slope during surgery with BCS TKA; posterior tibial slope should not exceed 10° in routine clinical practice. We would like to thank Y. Wang and H. Higaki, Faculty of Engineering, Kyusyu Sangyo University, Fukuoka, Japan, for the help in analysing the data. MH collected and analysed the data and drafted the manuscript. HM conceived of the study, participated in its design, collected and analysed the data and coordination and helped to draft the manuscript. HM is also the corresponding author. KO collected and analysed the data and assisted in drafting the manuscript. TK, KM, and YM collected and analysed the data. SH assisted in drafting the manuscript. YN gave final approval to the manuscript. Hideki Mizu-uchi: Zimmer Biomet; Paid presenter or speaker. Ken Okazaki: Zimmer Biomet; Paid presenter or speaker. Smith & Nephew; Paid presenter or speaker. Johnson & Johnson; Paid presenter or speaker. Pfizer Inc.; Research support. Cyfuse Inc.; Research support. The authors declare that they have no conflict of interest concerning this study. This study was approved by the institutional review board of Kyushu University (No. 25–74). Informed consent was obtained from all patients prior to study participation.